Respite Services is a program that involves short-term, temporary care provided to an individual in their home or outside their home. It is designed to give the primary caregiver a break from their care giving duties – while a competent health care professional from Absolute Care Staffing Health Agency will take over such duties to ensure the continuity of health management for the patient. Respite services may also be scheduled for only a few hours or several days in length depending on the plans of the caregiver. 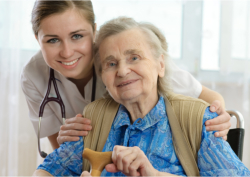 There are flexible respite care schedules available at Absolute Care Staffing Health Agency which can be planned in advance or may be made available to assist in a crisis or emergency situation.